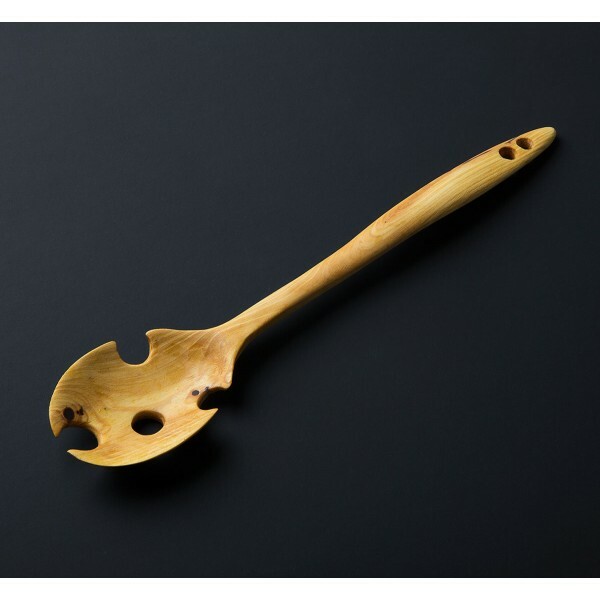 The Holly Spoon, carved from cypress wood found by Yoab Baitner in Rehovot, Israel, is a wonderful spoon for cooking or serving, or simply to make your dinner guests look twice at the tool filling their plate. 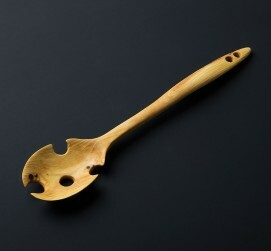 Hang it on the wall using one of the decorative holes at the end of the handle and keep it at the ready for daily use. 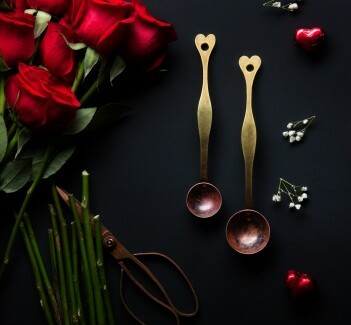 A handmade tool combining Yoav's unique, experimental designs with a fully functional form in one beautiful package that would make a wonderful gift. 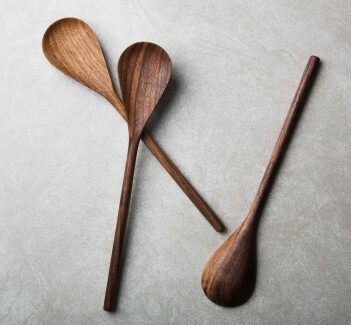 Through his company Mad Almond, Yoav Baitner carves one-of-a-kind spoons and kitchen utensils from local woods that he collects himself. 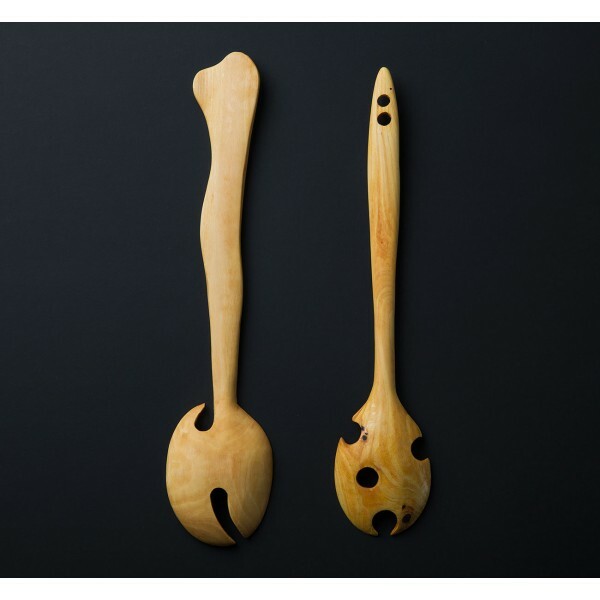 Yoav believes that even the most common and humble product can take on new meaning by combining design with art. His spoons, like this beautiful Holly Spoon, are excellent examples of his ability to inspire without sacrificing usefulness. Bowl: 2" wide, 2.5" long. Overall: 10.5" long. Cypress wood. Finished with food-safe natural tung oil.